Hello everyone, as you know I recently had my hair recolored. Uhm, so far I have colored my hair more than three times this year. And well, if you wonder whether my hair is damaged or not, of course I will say yes it is. Yep, one of the prices that I should pay for different color if hair is damaged hair. Colored hair needs extra care to prevent hair to be extremely damaged. So, now I spend more time taking care of my hair with the application of mask, serum, oil, leave-on treatment, etc. 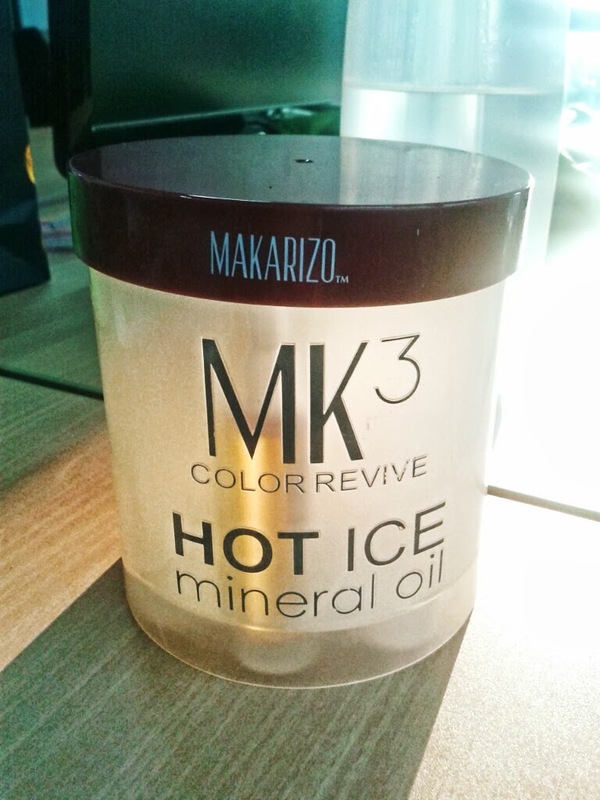 And recently I just learn that Makarizo is launching its latest product; MK3 Hot Ice. 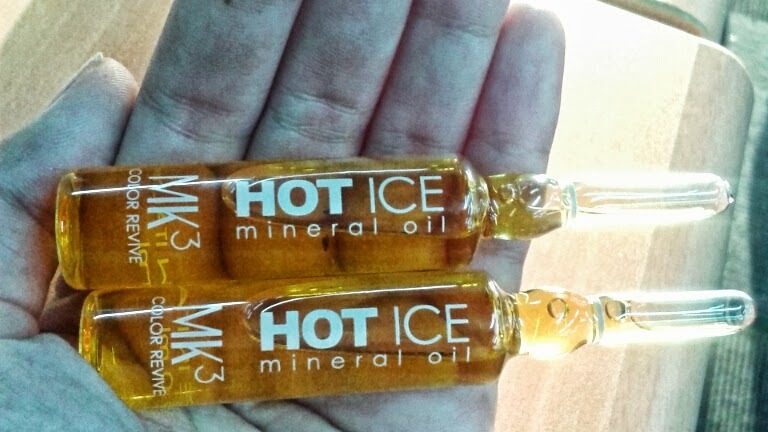 What is exactly Hot Ice? Sounds really interesting right? 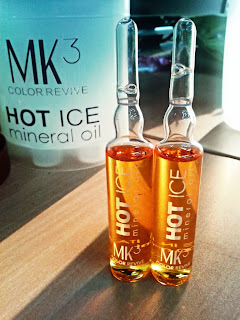 Hot Ice is a special treatment for color-treated hair. With mineral oil, magic serum Hot Ice will soon fix the hair shaft is brittle and has undergone coloring process. It also increases the intensity of hair color , making hair that has been dyed to make more healthy, soft and shiny. Castor oil is a vegetable oil obtained from castor beans (technically castor seed ) which has an unusual structure and many uses . It is obtained by pressing the seeds of castor oil plant; Ricinus communis ( Euphorbiaceae). Castor oil works to repair damaged and broken hair due to chemical processes and also giving relaxation to the hair strands. Linseed oil is yellowish-color oil obtained from the dried ripe seeds of the flax plant. Oil is obtained by pressing, sometimes followed by solvent extraction. Due to high levels of α - linolenic acid ( a special form of omega - 3 fatty acid ) , used as a nutritional supplement and revive Maintaining health and natural luster of hair, download restructuring cortex and smoothing the hair cuticle. And what’s unique from this product is how to prepare the application! 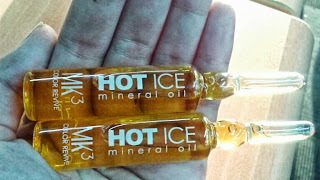 It is suggested that we store Hot Ice in refrigerator / freezer (maximum 2 minutes ) before use to maximize the quality of mineral oil Hot Ice. Stay tuned for my next post about how to apply and how it feels on my colored hair.